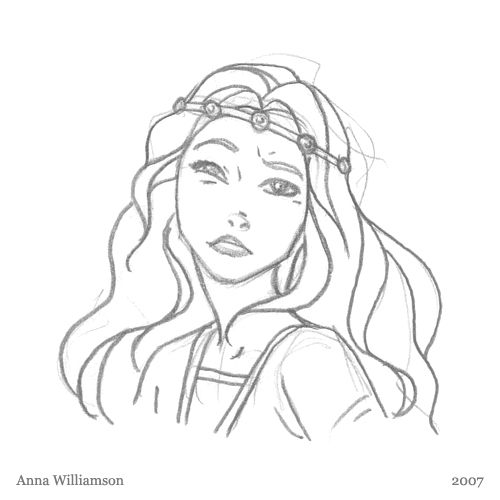 Just a little pencil sketch of the fairy tale princess making a face. ← Oh, look! GREEN hair.